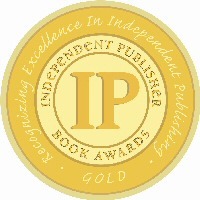 The "IPPY" Awards, launched in 1996, are designed to bring increased recognition to the deserving but often unsung titles published by independent authors and publishers. Established as the first awards program open exclusively to independents, over 2,800 "IPPYs" have been awarded to authors and publishers around the world. Independent publishers are extremely diverse, in both style and geography. This year’s IPPY competition attracted 3,741 entries in the national categories, 1,072 regional entries and 390 e-book entries. So, 5,203 total entries and 372 total medals. Themedalists represent 44 U.S. states plus the District of Columbia, seven Canadian provinces, and ten countries overseas.